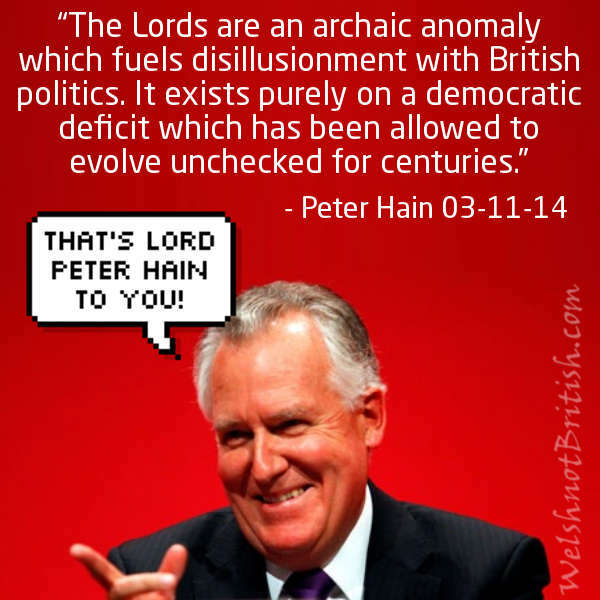 It has just been announced that serial trough guzzler, Peter Hain, has been made a Lord. As soon as I heard this I knew that it wouldn't take long to show that Peter, like his best mate Kinnock, was against the Lords until he got the chance to become one. What I didn't realise was that I would find an example that was both so recent and on his own website. 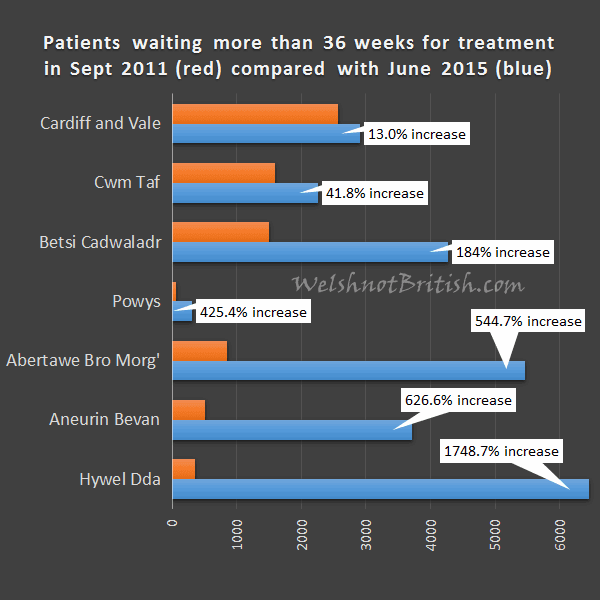 Patients in Wales waiting 36 or more weeks for a hospital appointment has rocketed over the last four years. The EBC has published figures that were obtained by Plaid Cymru but curiously chose to show the data on a map showing where the health boards are. 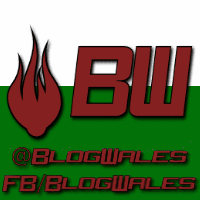 The annual Llanelli Riots March was held on Saturday 15th August. 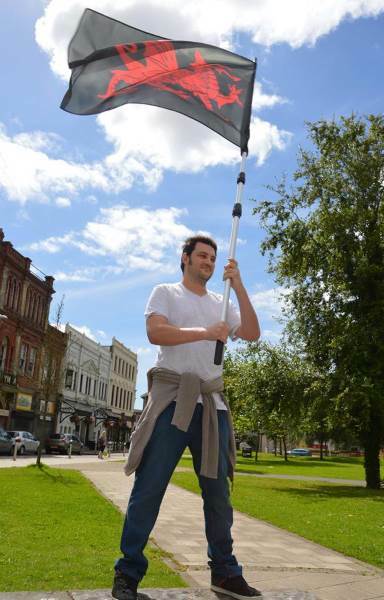 It's a commemoration of the 1911 strike which saw soldiers, who were sent in by Winston Churchill, murder two local men. Every year the organisers have a theme and this years theme was austerity. The march, led by the Cambria Band, sets off from the train station at midday and heads up to the house where the young men were brought after being shot. After a bit of panto, with the organiser barking orders at the crowd and the crowd responding with boos, the march continues back into town where a rally is held at the sunken gardens. After the rally the procession heads to the cemetery where the murdered men were buried.